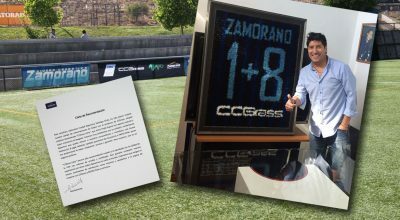 Managed by Carlos Encinas, a former player with Colo-Colo, regarded as the most successful club of Chilean football, playing in the Chilean Primera División from which they have never been relegated, Deportes Melipilla chose the CCGrass product Stemgrass for their new pitch. Based in a commune in the Santiago Metropolitan Region of the same name, Deportes Melipilla was founded on January 24, 1992, as a successor to Club Deportivo Soinca Bata. This year has so far been great for the club, with defeats of all rivals and hopes for promotion to the first division. 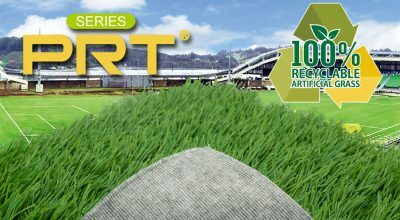 Synthetic grass is very common in Chile, especially in the more southern regions where it is rainy and cold, meaning maintainance of natural grass can be expensive. With the new pitch in place, Captain of Deportes Melipilla, Gonzalo Lauler (27), said “I started playing football on synthetic grass in 2007. Today there are sneakers or football shoes for this kind of surface. So there’s no problem with [braking] or falling down. Certainly, it happens frequently when playing on natural grass. The synthetic surface is not slippery. In my personal opinion, I prefer synthetic grass”. Elsewhere, CCGrass has also installed its Stemgrass product in the Camp de Sports de Santa Barbara in Spain and at Hollviken IP in Sweden, both of which certified by football’s governing body as “FIFA Quality Pro” surfaces.